Hello everyone! This Friday, May 8th, is the release of Distinguished Press’ latest series, Vachtor, Guardian of the Heart! That’s right, we’re stepping away from vampires and the horror to give you a children’s series that your kids are sure to love. Vachtor, Guardian of the Heart is a children’s book series created by SC Hallen. Her incredible talents, and love for family has filled this series with adventure, love, and emotion. Vachtor is a German Shortair Pointer puppy that is rescued by what becomes his new family. He learns what it means to grow into a proud, bold young dog wrapped in love. SC Hallen works with Sharron Henderson to bring life to the incredible puppy that is, Vachtor, the Guardian of the Heart. With vivid images, and exciting stories, this series will bring him through life’s adventures. This well crafted and planned series starts with Vachtor Finds a Home. Vachtor Finds a Home follows our pup from his rescue by some furry friends and their family to adoption and choosing his name. 1. SC Hallen wanted this to be for any family, no matter where they are from or what they look like. That is why there are almost no humans in the illustrations. 2. 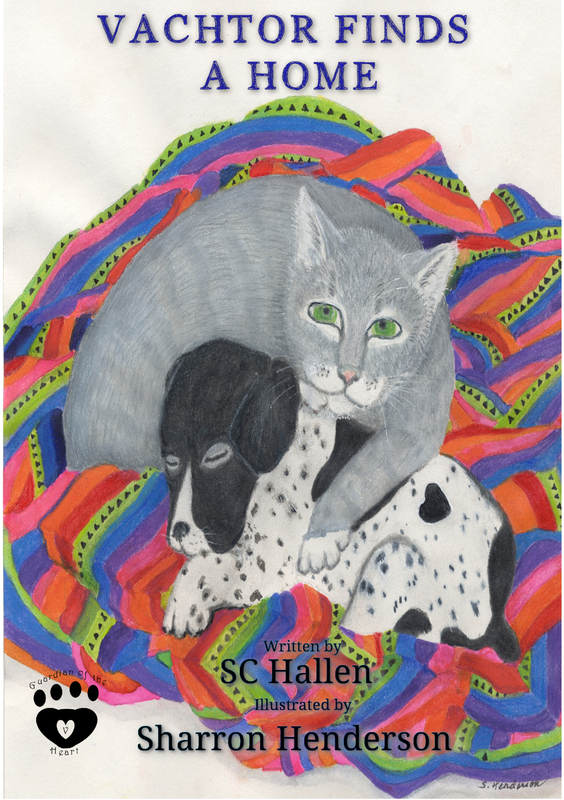 The Vachtor stories are based on SC Hallen’s real, live dog that she found near a ditch when he was a puppy. There are parts of each story that really happened. 3. Look closely at the pictures, Ms. Henderson has hidden something in every drawing. Can you find the heart? Interested? Click here to purchase, Vachtor, Guardian of the Heart – Coming at you, May 8th from Distinguished Press!